Opioid laws are changing around the nation – tightening the amount and duration of prescriptions doctors can write. Congress has allocated $6 billion towards the epidemic for 2018 and 2019, but it’s unclear how the money will be spent at this point. Florida’s bill would limit opioid prescriptions to three days, though seven-day supplies would be permitted if a physician deems them medically necessary. The restrictions wouldn’t apply to patients suffering pain related to cancer, terminal illness, traumatic injuries or palliative care. The goal of the new law is to help prevent people from getting addicted to prescription opioids. Earlier restrictions on prescriptions, and higher costs, have been shown to lead to some patients to switch to cheaper, more plentiful street drugs like heroin and fentanyl. The impact of the new law is a hot topic among pain management physicians and their patients. Taufiq Ahmed, M.D., principal pain specialist at Physician Partners of America Pain Relief Group – Orlando, recently talked with Spectrum My News 13 in Orlando about the sweeping changes in Florida’s opioid laws. 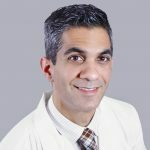 While he understands the need for more regulation, Dr. Ahmed and his peers are concerned about the unintended consequences that legitimate chronic pain sufferers could face. “It’s been a little frustrating for us pain providers as well because we realize not every injury is a three-day or a seven-day situation,” he said. Ahmed, an anesthesiologist as well as a pain management physician, gets to the root cause of the pain in the PPOA tradition, and treats it with a number of modalities. This may include injections, radiofrequency ablation, nerve blocks and spinal cord stimulator implants. He also incorporates alternative methods to help reduce the chance a patient develops a dependence on opioids. “Everyone has good intentions in mind, and to be frank the issues with the amount of heroin and opioid overdoses we’re seeing in Florida is staggering,” he said. 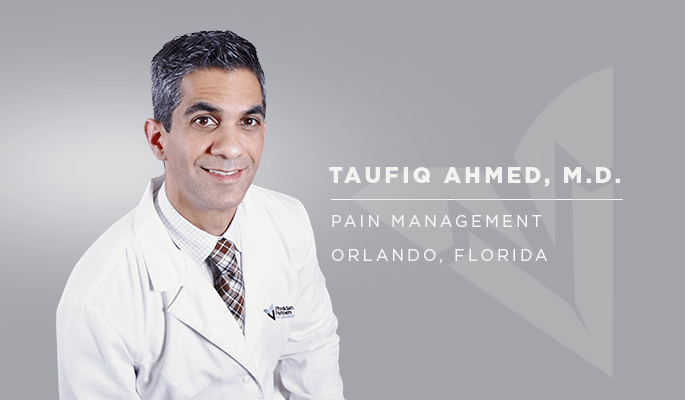 Taufiq Ahmed, M.D., brings a wealth of pain management experience to Physician Partners of America, including a background in anesthesiology, focus in the treatment of migraine, and experience in spinal cord stimulation.